It is with a deep sense of sadness that I am writing to inform you of the sudden and tragic death of Darragh O’Connell, one of our Form 6 students. We learned of this sad news yesterday. As a school community we are deeply saddened by this tragic news. Our sympathy and thoughts are with his family and friends. May he rest in peace. This is a terrible tragedy for the O’Connell family and for our school community. The Sod Turning Ceremony for our new school campus took place on Friday August 31st 2018. This Ceremony marks the beginning of the construction project on the 22 acre site with a value of up to 20 million euro. First Year Students now enrolling for September 2019 will be the first year students cohort to enrol into this new state of the art campus. Colaiste Chiarain Open Evening will take Place in the SouthCourt Hotel, Raheen on October 9th. All Primary School Students are invited to visit our open day on October night in our school, further details to follow. 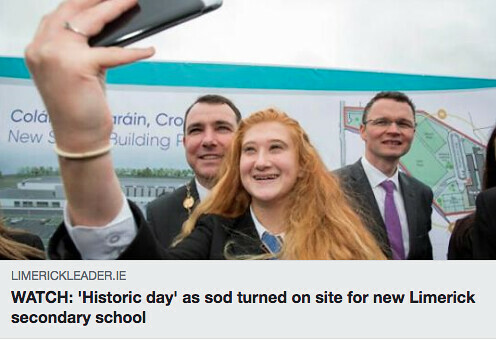 Limerick Leader Article form the Sod Turning for our New 22 acre school campus. 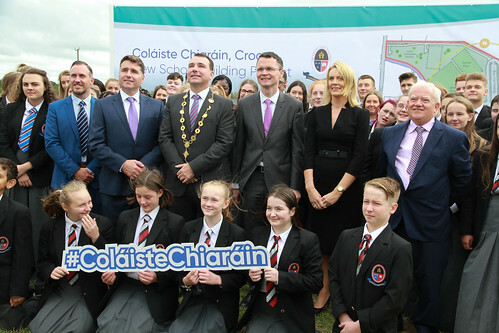 Colaiste Chiarain New School Campus, Due for Completion Last Quarter 2019. We are now Enrolling for September 2019. First years enrolling in September 2019 will be the first cohort of Form 1 students to enter our new school campus. 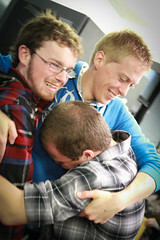 Please join us at our Open Night on Tuesday October 9th, SouthCourt Hotel, Raheen to Meet our team and find our more. 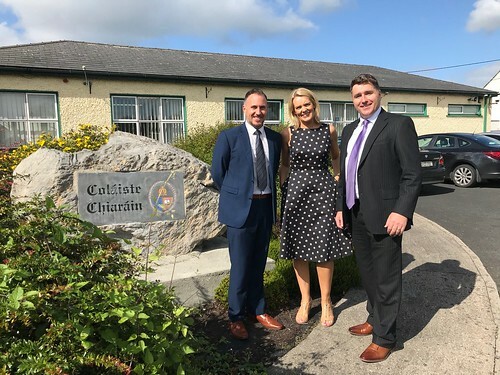 New Leadership Team for Coláiste Chiaráin..
New Year, New Beginnings... New Leadership Team for Coláiste Chiaráin..
Thursday August 30th – 1st, 2nd, 3rd, 5th, 6th years, Transition year & 5th year LCA.